Hopping Ahead of Climate Change, by Sneed Collard III. Bucking Horse Press, 2016. 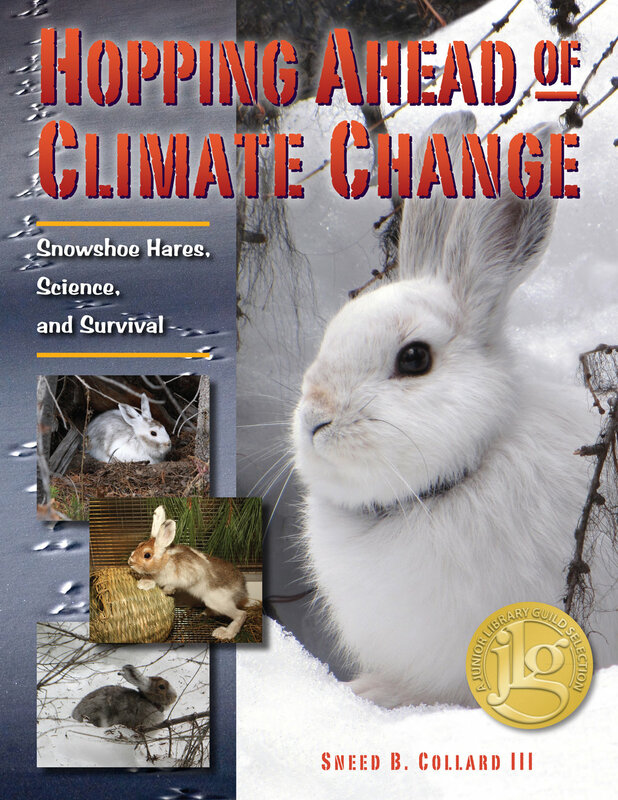 This book combines beautiful pictures and captivating graphics with engaging writing to bring to life the story of how researchers are using the scientific method to help understand how climate change may impact snowshoe hares and the ecosystems that rely on them.